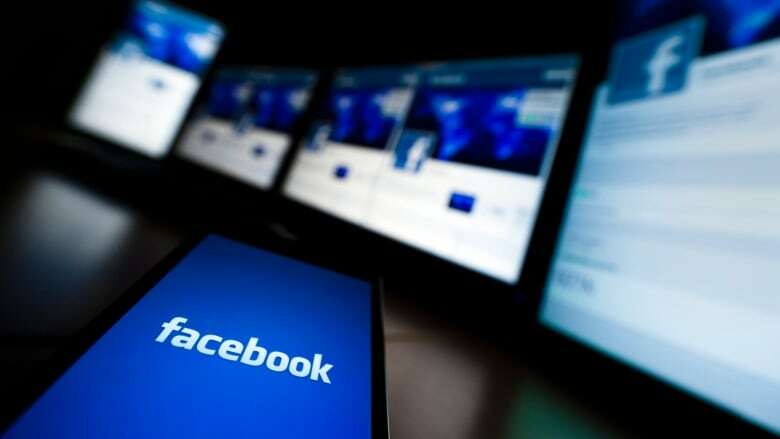 In the midst of measles outbreaks and growing calls from health experts to stem the tide of misinformation about vaccines, Facebook announced on Thursday that it would reduce the visibility of anti-vaccination posts and reject ads that include such content. In her post, Bickert said Facebook will "reduce the ranking of groups and pages that spread misinformation about vaccinations in News Feed and Search" — meaning they won't pop up as often or as prominently as they do now. They also won't be included in "recommendations," she said. "When we find ads that include misinformation about vaccinations, we will reject them," Bickert said. "For ad accounts that continue to violate our policies, we may take further action, such as disabling the ad account." The company, which also owns Instagram, "won't show or recommend content that contains misinformation about vaccinations on Instagram Explore or hashtag pages," she said. In addition, Facebook is "exploring ways to share educational information about vaccines when people come across misinformation on this topic." The platform will use information from "leading global health organizations, such as the World Health Organization and the U.S. Centers for Disease Control and Prevention" on "verifiable vaccine hoaxes" to take action against them, Bickert said. Fuyuki Kurasawa, director of the global digital citizenship lab at York University in Toronto, welcomed the measures — but said they are "belated" and don't go far enough. "[They] do address some of the concerns raised and criticisms directed at [Facebook] around this issue," he told CBC News in an email. "[But] rather than reduce their ranking, why not ban or disable private groups and pages that spread misinformation about vaccinations?" Kurasawa asked. Kurasawa also wondered how Facebook would "deal with the ways in which anti-vaxxers may re-label or programmatically re-code their content so as to become undetected or less detectable via [Facebook's] algorithms or human moderation?" CBC News asked Facebook how it would identify organizations with names that don't reveal their affiliation with anti-vaccination messaging — such as the U.S.-based National Vaccine Information Center, which focuses on claims of "vaccine injury" rather than promoting vaccination for disease prevention. In an email, a spokesperson responded that Facebook's artificial intelligence (AI) system will constantly scan posts and links to find content containing widely debunked vaccine hoaxes. A team of Facebook employees will then review what the AI system identifies to confirm if the content violates the platform's anti-misinformation policies. If it does, it will be removed from search results and will appear lower in users' news feeds. The spokesperson acknowledged that the process of identifying misinformation would have to continue to develop over the long-term. Facebook also plans to provide its users "with additional context" and is "exploring ways to give people more accurate information from expert organizations about vaccines at the top of results for related searches, on Pages discussing the topic, and on invitations to join groups about the topic," Bickert said in her blog post. Facebook's attempts to curb vaccine misinformation come after other online platforms have already taken action. 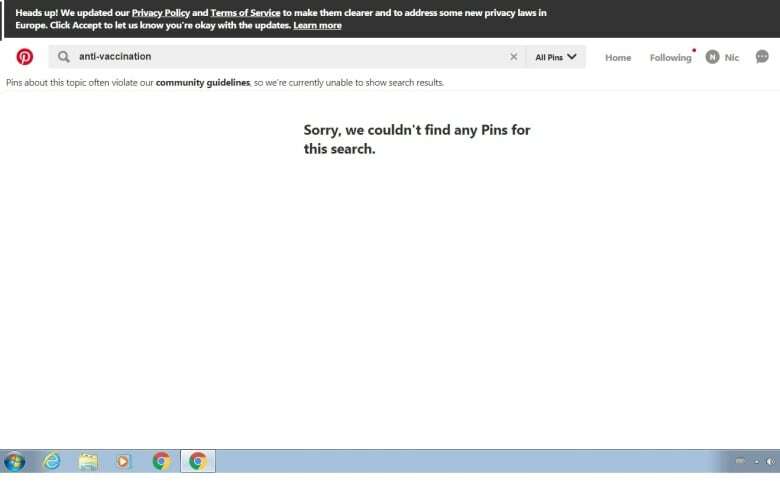 Pinterest, a site on which users (called "pinners") save visual content they like from other blogs or websites to their personal pages, started blocking searches containing terms such as "anti-vaccine" last year. YouTube said it does not allow videos that promote anti-vaccination content to make money by hosting ads. A spokesperson told CBC News in an email last week that the platform is also "surfacing more authoritative sources and reducing recommendations for anti-vaccination videos," as well as showing "information panels where users can fact check information for themselves."